Foreclosure is one event which all of us dread to happen. This could signify one of the lowest points that people can have in their lives. Facing foreclosure is a terrible experience. Waking up every morning with a feeling of impending doom as you know that the house you have lived in for years could be taken away from you. 1. Face your financials – Instead of going around blind about your financial status, what you should do is find out just how deep you are in debt. Make a list of the payments you’ve missed, and a list of the payments you still owe until the payment term is over. This will give you an idea of how much you need to raise in the next few years. You could also take advantage of mortgage calculators to gain a better understanding of your finances. 2. Talk to your lender – Don’t be afraid of showing your face to your bank or your private lender. You’ll be surprised to find that banks will be willing to help you find options to work around your situation. Perhaps they can give you a longer term. Banks generally don’t like foreclosed properties since these will be non-moving assets for them. 3. Consider getting help – There are credit counseling services that can help you evaluate your options. Agencies linked with the Association of Independent Consumer Credit Counseling or National Foundation for Credit Counseling can give you a hand. If you’re comfortable with the idea, you may also approach relatives who will be able to give you a loan on easy interest rates. Just make sure to pay them on time, and put your loan in writing. 4. Perhaps Refinance – If you’ve already got equity on your home, and your lender hasn’t filed a notice of default, you might still be able to refinance your home. Refinancing will give you lower interest rates and lower monthly payments that you just might be able to afford. Be careful about loan options such as the interest only mortgage and adjustable rates. These might just get you in a deep hole sometime in the future. 5. Be realistic – Most of us are too tied to our homes. However, when the situation calls for it, it’s time to let go of emotional attachments and face the reality that it may be better for you to let go of the property and sell. There are real estate professionals and investors who are looking for foreclosure deals they can buy to make a profit. You could consider selling your house to them, or you could partner with them and discuss how you can turn your situation around to your advantage. Real estate professionals are experienced when it comes to foreclosures and they just might be the ones to give you the best option. Nobody wants to have their home in foreclosure. Before you get to that point, get your finances in order and seek professional help as to what are your best options. There is definitely a way out to that sticky situation, and you just might get a good start to rebuilding your future. 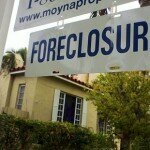 Can Foreclosure Cost You More than Just Your House? With so many homes foreclosing all throughout the country it is important to know the total impact a foreclosure will have on you if you are ever forced to consider that option. Especially if you own multiple homes. Many homes heading into foreclosure are 2nd homes and rentals. Banks respond differently to 2nd homes and rentals foreclosing. There are a few very important questions worth considering. Can and Will the Lender Sue You? Is the rest of the money you have safe? This article from bankrate.com answers both of these questions. Is my money safe after foreclosure? Protecting your CD (certificate of deposits), Credit Cards, Interest Checking accounts and any other assets you have can only be done by educating yourself. Get educated and protect what you have in this poor economy. Many times foreclosure and bankruptcy are not the fault of the person going through the situation. With the poor state of the economy and many people losing their jobs foreclosures and bankruptcies are at an all time high. If you find yourself in this situation, do not let two wrongs happen. Educate yourself so you know how to protect what you will have left after the foreclosure.